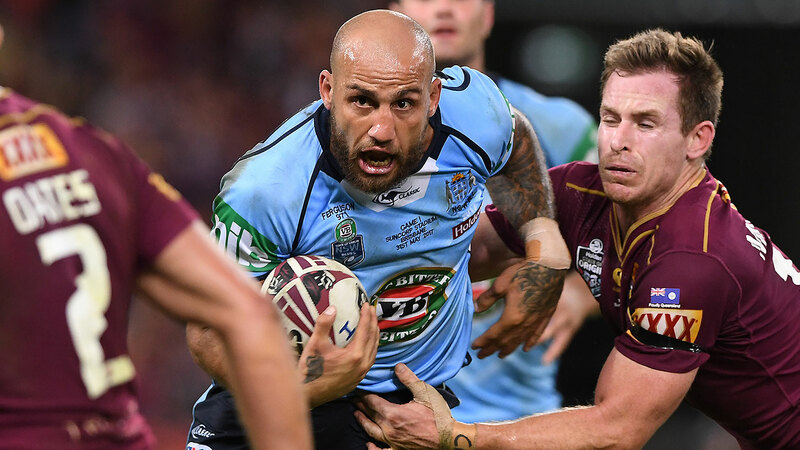 Blake Ferguson's hopes of a NSW recall appear to be on rocky ground after he rejected Brad Fittler's invitation to take part in a Blues bonding camp on Friday. The Parramatta marquee recruit decided against attending the event at NSWRL headquarters, instead choosing to train with his Eels teammates. His relationship with Fittler was strained after he was dropped for this year's series. Ferguson lost his right wing spot to Tom Trbojevic after it was revealed he was drinking at a Lennox Head pub five days before the 2017 State of Origin decider. He later said he was "disappointed" at not receiving a phone call from Fittler given he was an incumbent. His Eels teammate Mitchell Moses chose to attend an Emerging Blues camp on Thursday. And Ferguson was a notable absentee from Friday's event which brought together the 2018 Blues team as well as over a dozen hopefuls including Tevita Pangai Junior, Wade Graham, Mitchell Pearce and Aaron Woods. Ferguson last week gave a cryptic interview in which he said he had a "decision to make" about the NSW side, seemingly suggesting he was considering making himself unavailable for Origin. "Blake decided that he was training at Parramatta so he didn't turn up today," Fittler said. "It's a bit of a shame but we wish Blake all the best." 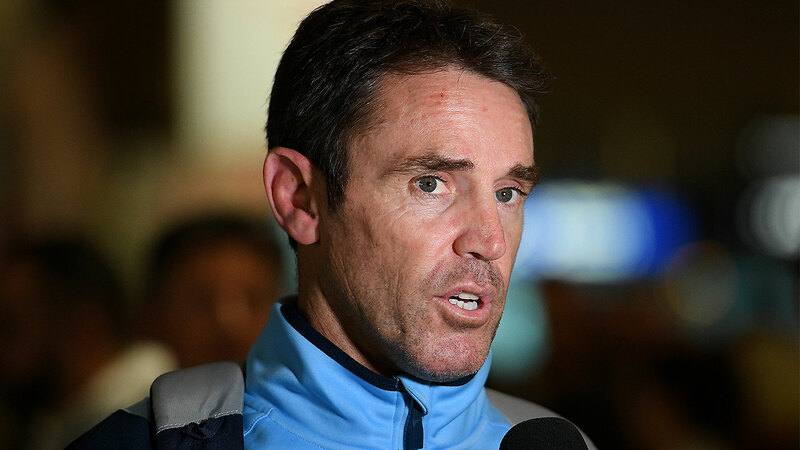 Pressed on whether he was disappointed by Ferguson's no-show, Fittler said: "Not really, everyone makes their choice. He chose to train at Parramatta so it's a good sign for them." Despite being axed by NSW and Australia this year, Ferguson found career-best form after giving up alcohol, running for a league-high 5039 metres and helping the Sydney Roosters to a premiership. "Everyone is really," Fittler said when asked if Ferguson was still in the selection frame. "You never know what's going to happen come the middle of the year. I wish him all the best."